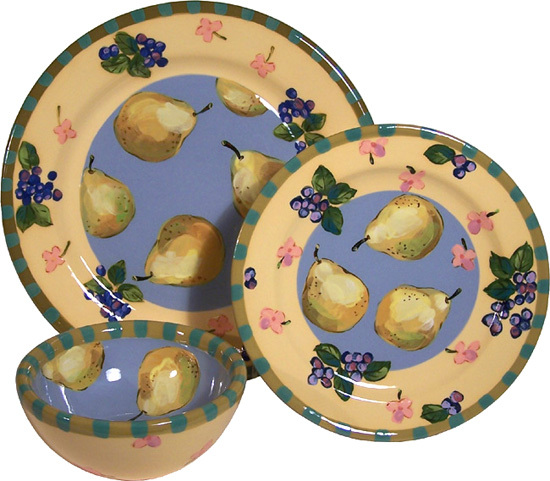 Dinner Plate- 11 1/2" wide, Salad Plate- 8" wide, Cereal Bowl- 6" wide x 2 1/2" tall. 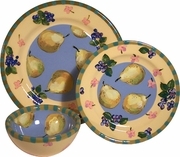 Pears and blueberries are a pretty fruity colorful combo! Click on photos to enlarge for details. Allow 4-6 weeks delivery.